I have a CRUSH on these booties from BDonnas. 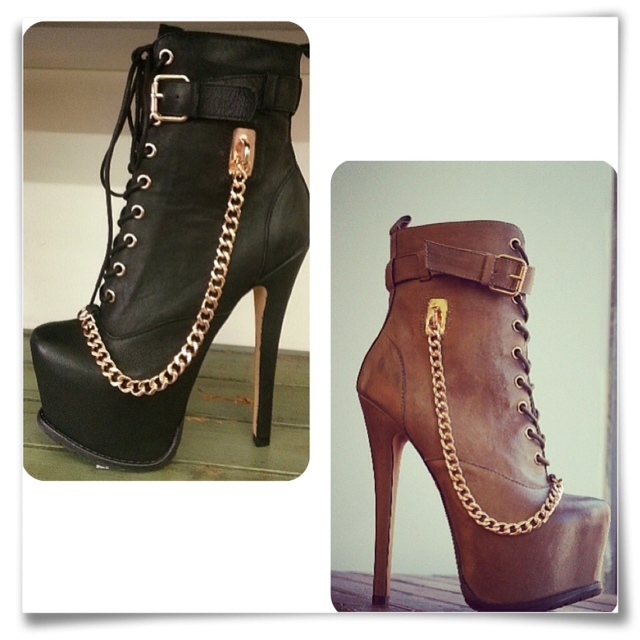 This 6" with 3" platform (gold chain/ ankle bootie) signature boot also by ZigiNY is a "must-have" for the fall season. These woke me up this morning!Hey girl!!! !